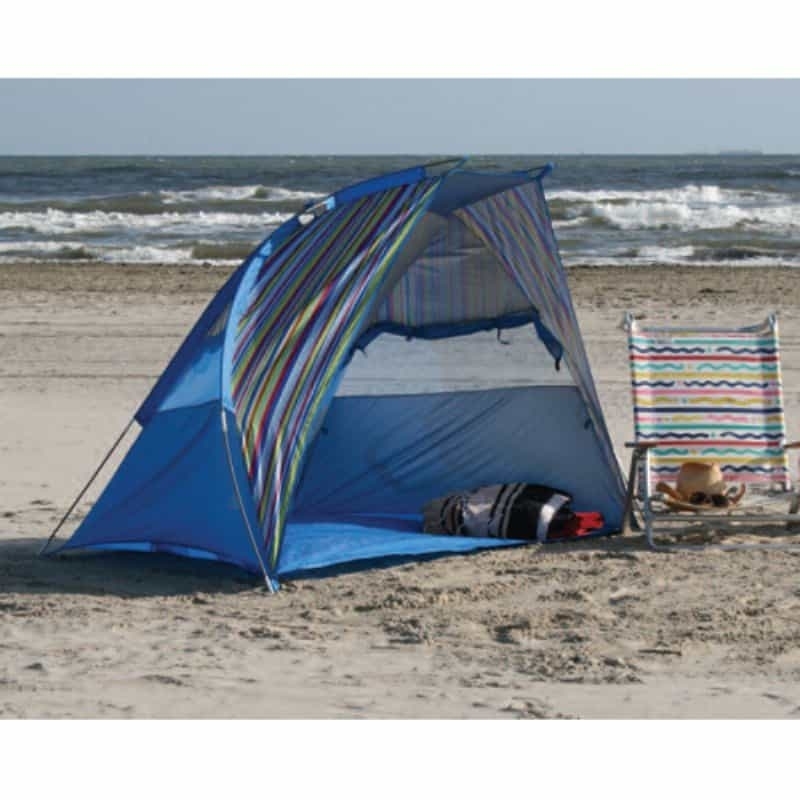 Protect yourself from UV rays with this 3 sided beach cabana. Constructed of heavy-duty polyurethane-coated taffeta which offers full UV protection. This cabana has a ripstop polyethylene floor and has 3 no-see-um mesh windows with storm flaps. Measures 48 by 84 by 48 inches (W x H x D). Model No. T01831.